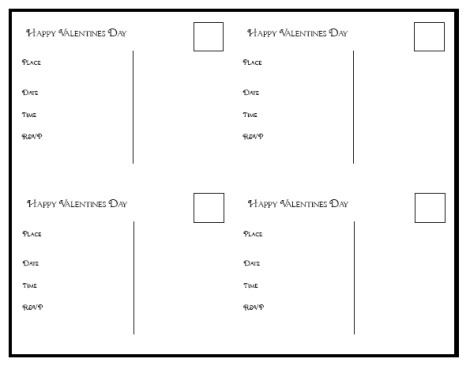 We've got printable valentines day postcards for a quick and simply print on demand postcards, as well as some super simple templates for creating crafty homemade postcards or invites. You're choice - or use them both! 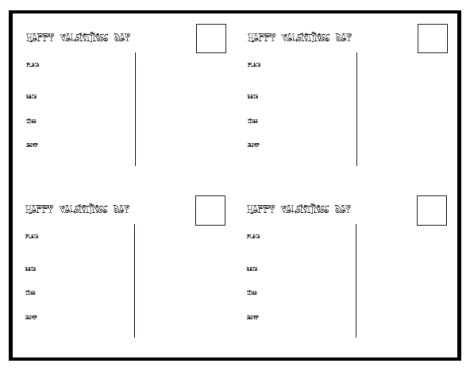 Our crafty templates are almost completely blank. These are made for the craftinista who likes to add her own creative touches, or use them for a project for you're kids to enjoy. 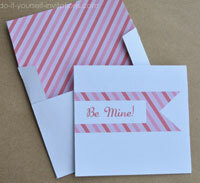 A perfect solution for the little one's to handing out Valentine's at school. Let em' at them with some crayons and stickers! 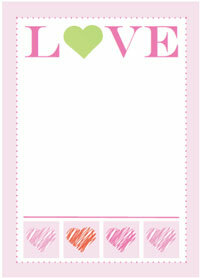 These printable Valentines Day postcards are unbearable adorable! 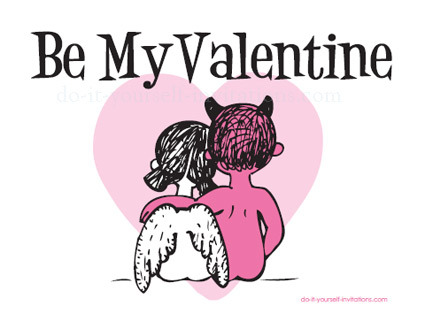 A testament to the power of true love - even a devil and an angel can fall in love! These are sure to make just about anyone smile! To make these postcards simply print them from your home computer onto some heavy white cardstock. 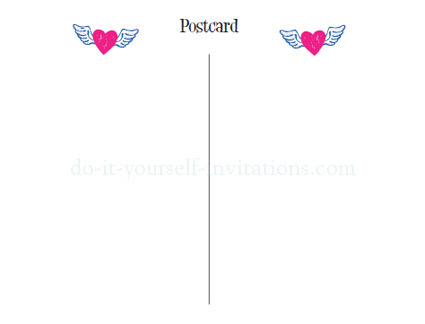 Make sure and print them back to back for a two sided complete postcard. Cut the paper into quarters and you're done! So easy! 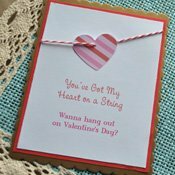 Get crafty and create your own Valentines postcards or print them for your kids for a great rainy day or Valentine's craft project! Download and print this Valentines Day invitation template. 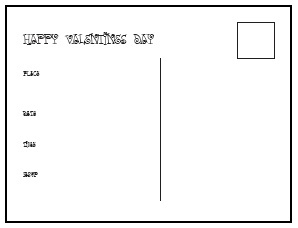 To view and print these templates you will need a PDF file reader such as Adobe Reader.Adobe Reader is free to download.